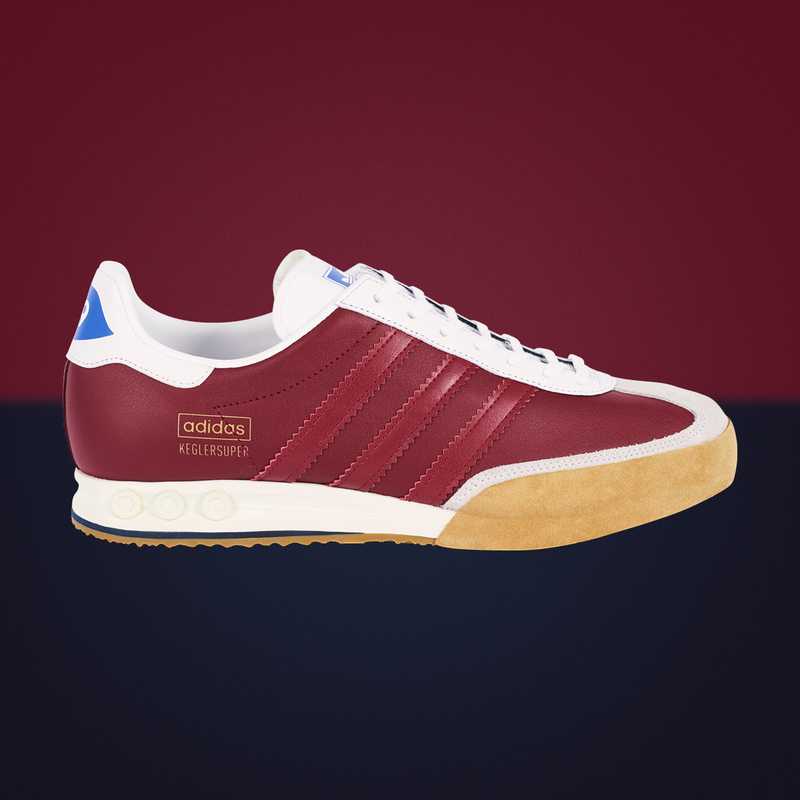 A truly iconic style, adidas Originals’ Kegler Super has garnered somewhat of a cult status since first touching down in 1979. Back then, the silhouette was designed for athletes playing Keglen (a German style of nine-pin bowling), and its innovative peg system proved popular among bowlers at the time. This nifty technology allowed the wearer to manually switch out pegs from under the heel so that you could adjust the cushioning levels to preference. What’s more, the Kegler also featured a reinforced suede toe cap for when bowlers dragged their toes across the surface. Following up our two recent size? exclusive iterations, the Kegler Super makes yet another comeback. 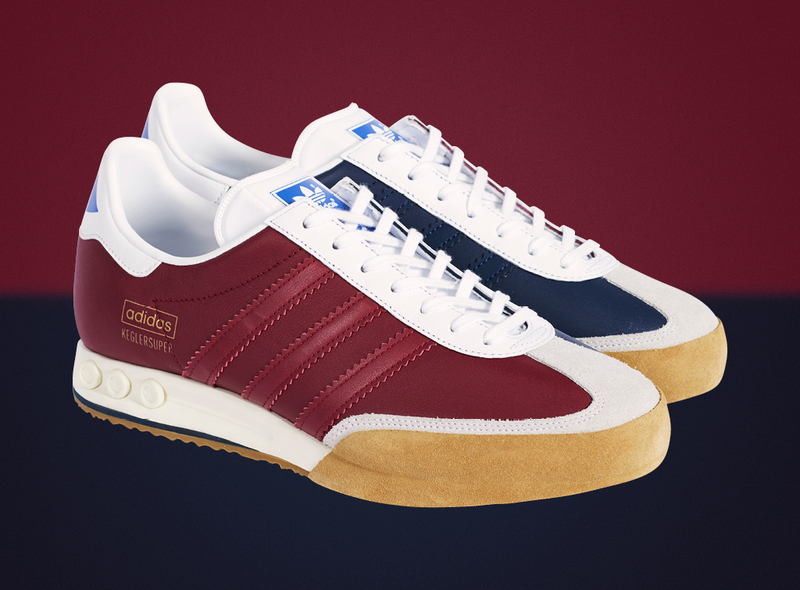 Remaining true to its roots, the pair takes design cues from their original sporting purpose, arriving with a ‘bowling shoe’ inspired makeover. 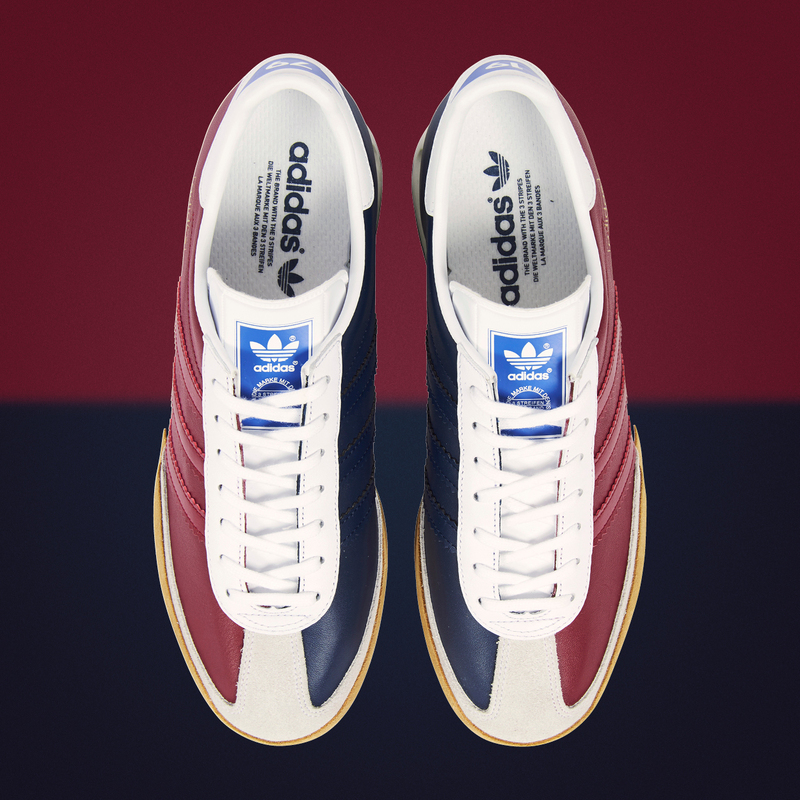 Shades of navy blue and maroon red split down the centre of the premium leather uppers, taking inspiration from the classic Americana ten-pin bowling shoes of the 1960s. The bowling shoe became a fashion essential in the 60s when kids, too young to hang in the pubs, came to the bowling alleys with scuffed up plimsoles and left wearing brand new bowling shoes. It soon became a trend that resonated with “Mods” from the era. 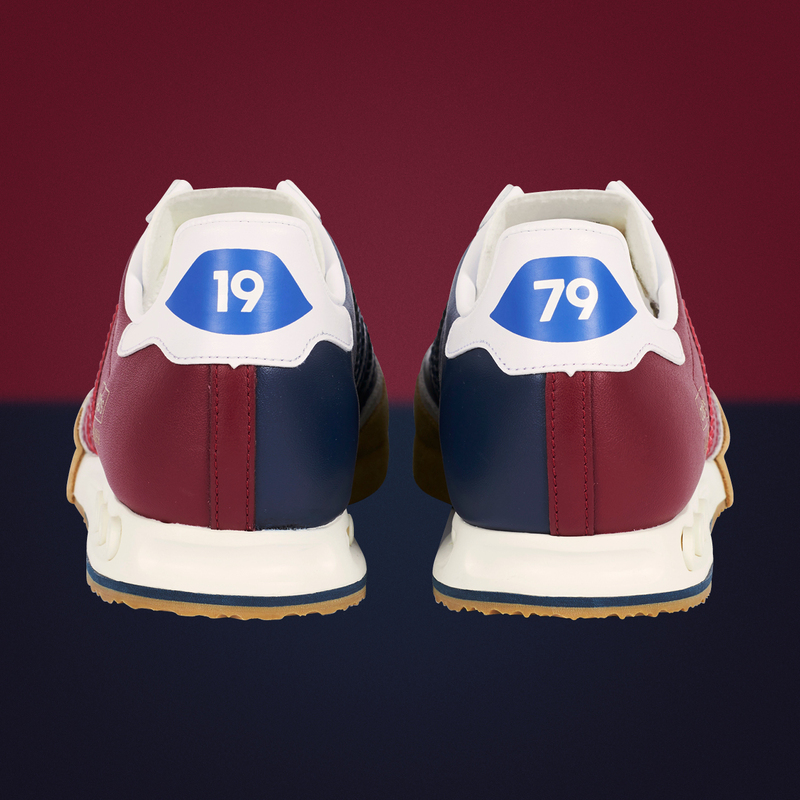 The numbers “19” and “79” decorate the heel tabs, referring to the original production year of the shoe, and also taking inspiration from bowling lane footwear numbers. Keeping the design perk that made the model an indoor bowling favourite, premium suede covers the T-toe and mudguard surround, adding character as the silhouette ages. The size? 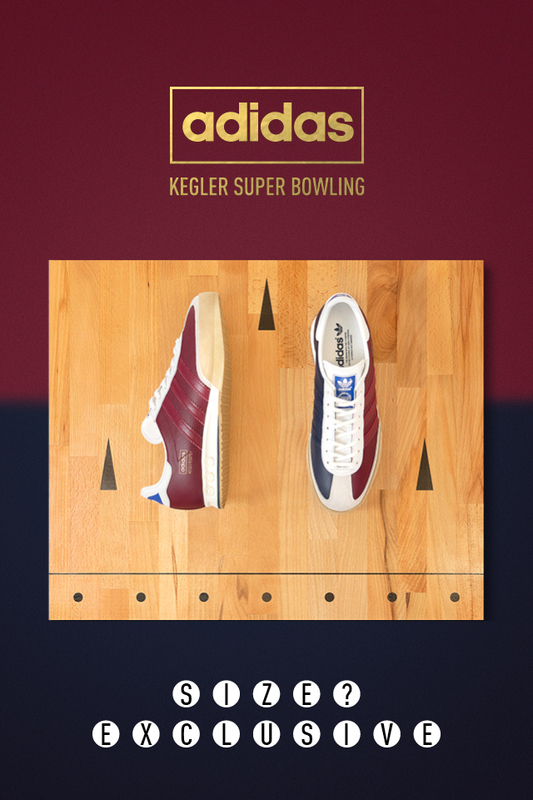 Exclusive adidas Originals Archive Kegler Super ‘Bowling’ will be available via the size? previews app and in all size? stores on Saturday 1st December, priced at £85.